1. A cookbook from the Cake Boss himself. It's filled with over delicious 100 recipes — most of which are for cake, but also cookies, pies, and other pastries for days you wanna switch it up from cake. Get it from Walmart for $14.28+ (available in two formats). 2. A rectangular cake pan with silicone handles not only for baking a perfect cake, but to also achieve a perfectly golden outside — are ya' salivating yet? Made of carbon steel that helps it bake and brown easily, as well as non-stick coating that is BPA- and PFOA-free. Plus, it features silicone inset handles for a firm grip. And it's dishwasher-safe! Get it from BuzzFeed's Tasty line, exclusively at Walmart for $6.87. 3. A rainbow chip cake mix that'll make whipping up a pretty, colorful, and festive birthday cake super quick and easy. Sometimes baking from scratch isn't always an option, Jan. Mix is free of preservatives and artificial flavors, and is made with just seven ingredients. 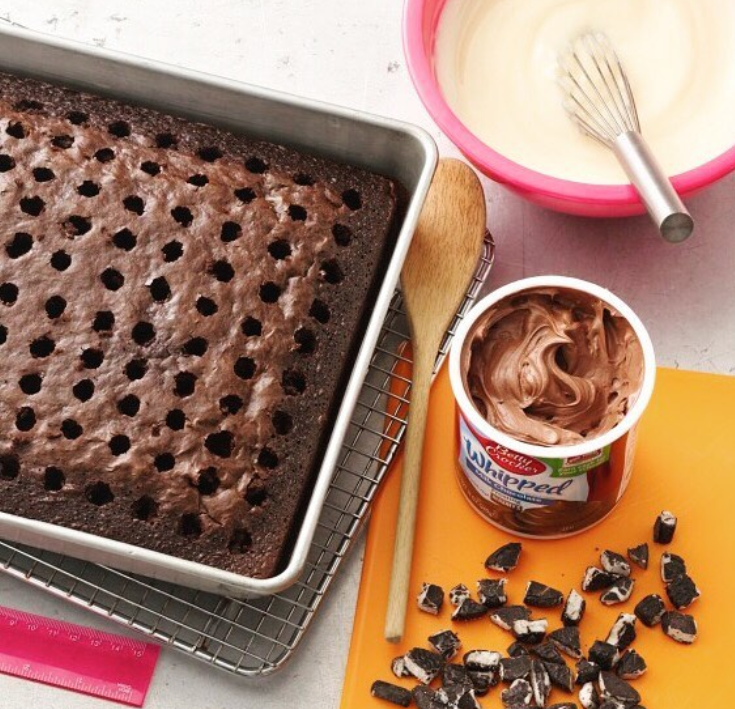 It only takes minutes from bowl to oven and yields one 13" x 9" pan serving. Get it from Walmart for $1.44. 4. A jar of rich and creamy vanilla frosting (or perhaps a jar of whipped milk chocolate frosting) for topping off cakes, cupcakes, and other baked treats with what is obviously the best part of any dessert — THE FROSTING! Both the vanilla and chocolate frosting canisters have enough to generously frost a two-layer cake. 5. A cake leveler to evenly cut through cakes — making them look professional is just a glide away. 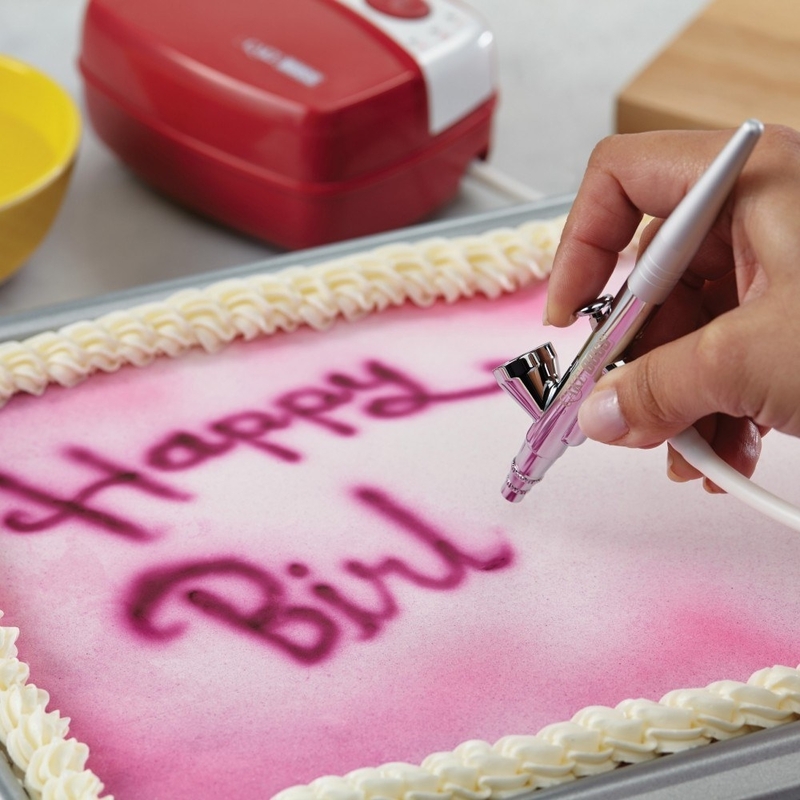 Features clearly defined height markers to help with accuracy, while the wavy wire cuts cake cleanly and reduces crumbs. The flat, hard, plastic feet provided stability, while also allowing to slide easily across your countertop. Can easily tort and level cakes up to 10". Get it from Walmart for $7.65. 6. A three-pack of silicone spatulas that'll come in handy during all steps in the cake baking process...especially the decorating. And of course they can be used while making other foods, not just desserts. Includes one rectangle spoon, one standard scraper, and one mini scraper. Spatulas are stain- and odor-resistant, and dishwasher-safe! Get them from Walmart or Jet for $6.60. 7. 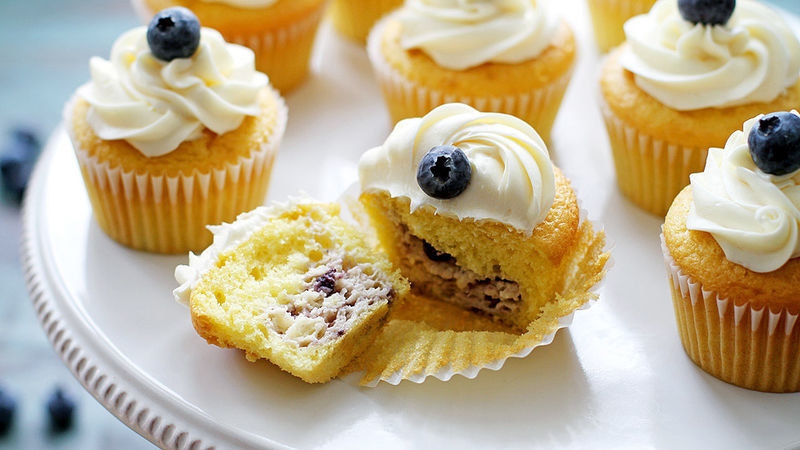 A two-pack of 12-cup muffin tins for baking cake in one of its best forms — CUPCAKES! Sure cake is great, but cupcakes are forever an unmatched contestant in the baking game. Made of carbon steel to bake and brown easily, and non-stick coating that is BPA- and PFOA-free. It features silicone inset handles for a firm grip, and is dishwasher-safe! Get them from BuzzFeed's Tasty line, exclusively at Walmart for $12.22 (originally $13.88). 8. A 24-pack of silicone baking cups to making whipping up cupcakes and other baked treats more eco-friendly. Seriously, disposable cupcake wrappers? Wasteful. Includes 12 rectangular silicone baking cups and 12 round silicone baking cups. They're BPA-free and FDA-approved and safe in temperatures between -40 to 446 degrees F. They're safe to use in the oven, refrigerator, freezer, microwave, steamer, and dishwasher. They're also flexible, non-stick (no greasing or cooking spray needed! ), don't require muffin trays — just pop onto a baking sheet), and re-usable!. Get them from Walmart for $11.91 (originally $23.99). 9. 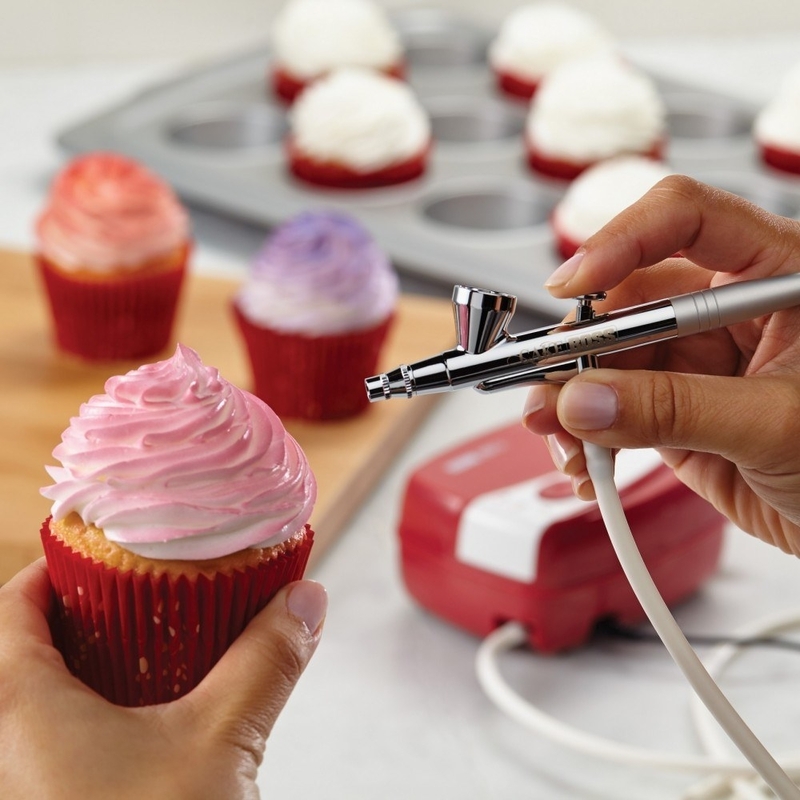 An airbrush decorating kit that'll take your birthday cakes and celebratory cupcakes from looking like they were made by someone with little kid baking skills to looking like they just came out of a box from the boutique bakery around the block. Simply turn on the compressor, pour your color choice into the reservoir, and pull the trigger to apply your designs. It features three adjustable levels, and includes a flexible rubber hose, a plastic dropper for transferring colors to the reservoir, a special tool for cleaning the nozzle, and an adapter. Get it from Walmart for $58. 10. A rotating cake turntable to set your freshly baked cakes on to ensure even frosting. Plus, you can use this to serve, too! Made of strong, robust, food-grade ABS plastic, and is FDA-approved. Get it from Walmart for $15.22 (originally $30.44). 11. A scraper to use with multiple different foods. But in this case, it'll help make the frosting on your cake look clean and polished, rather than a goopy mess. Stainless steel cutter features an easy grip handle for comfortable use and is great for chopping, scraping, measuring, and crushing. Plus, it's dishwasher-safe! Get it from Walmart for $6.99. 12. A two-pack of springform cake pans that'll have you switching things up by making yummy cheesecakes, which has been scientifically proven to be one of the most delicious forms of cake. Don't argue with science, it's important. Made of carbon steel to help it bake and brown easily, and non-stick coating that is BPA- and PFOA-free. It's heavy-duty and features a quick release latch side clip with a separate bottom piece that can be removed. Plus, they're dishwasher-safe! Get them from BuzzFeed's Tasty line, exclusively at Walmart for $17.74. 13. A 72-piece cake decorating kit for tricking friends and family into thinking your baked treat came from a fancy bakery or that maybe you went to culinary school. But, nope, it's just an amazing kit you bought from Walmart, hehe. 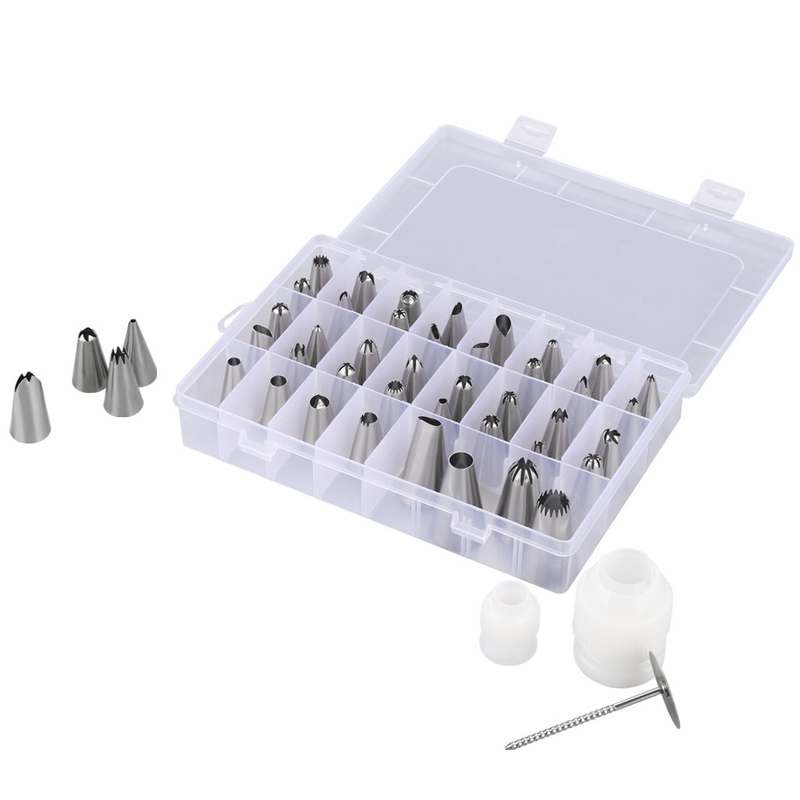 Includes 44 stainless steel piping tips, 20 disposable pastry bags, two reusable silicone bags, two couplers, three cake scrapers, and one flower nail. 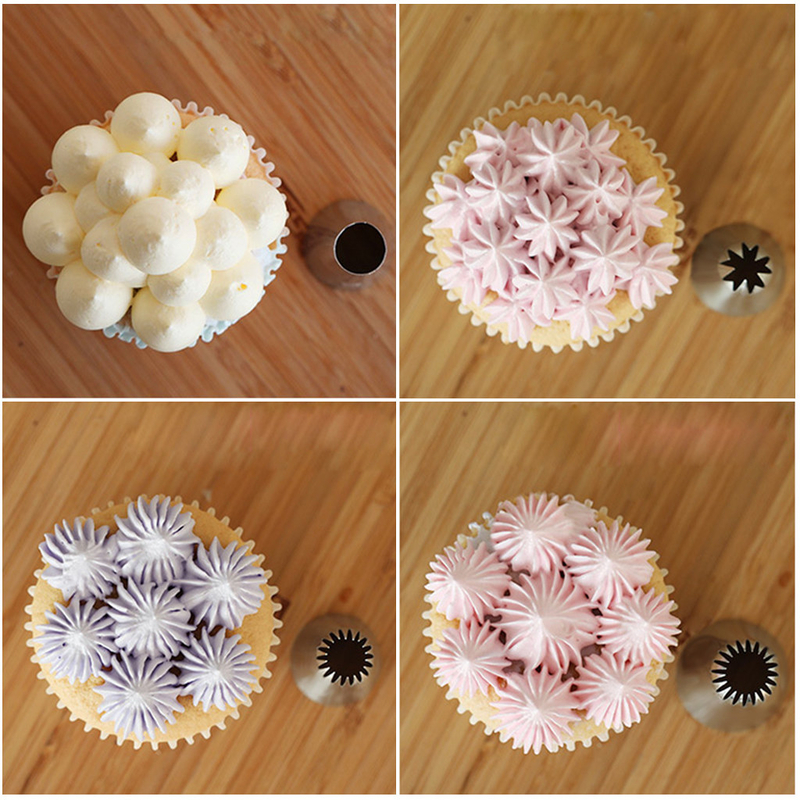 All parts are FDA-approved, non-toxic, BPA-free, and made of 100% food-grade stainless steel icing tips. Get it from Walmart for $14.64. 14. 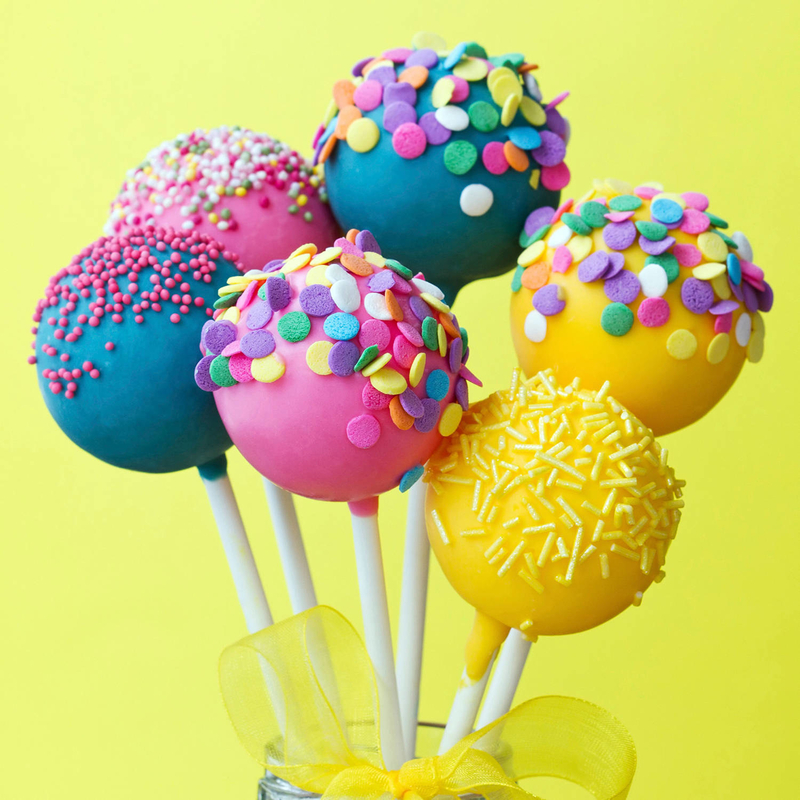 A dessert decorator that'll make every treat you decorate look super pretty and elegant. So much so that you may be too afraid to eat it — but don't worry, you can always bake and decorate more! Includes five decorating tips, a convenient thumb lever, and a pull-out plunger. Get it from Jet for $7.99. 15. 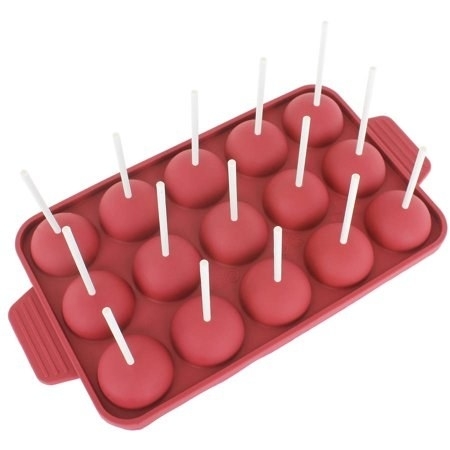 A silicone cake pop mold to get if you're someone who has exquisite taste, quite literally, and knows cake just tastes delicious in spherical form while eaten off a stick. Mold is flexible and non-stick, is safe in temps between -40 to 446 degrees F, and is reusable for up 3,000 uses. It's BPA-, PVC-, and phthalate-free, and made of premium-quality food-grade silicone that is FDA-approved. It's also microwave-, oven-, refrigerator-, freezer-, and dishwasher-safe. Get it from Walmart or Jet for $12.99. 16. A 12-piece dining set with little cake prints for eating cake, making a mug cake, or just showing off your undying love for the best food in existence. Includes four plates, four bowls, and four mugs made of sturdy porcelain that is microwave- and dishwasher-safe. Get it from Walmart for $32.93 (originally $38.67). 17. A 10-pack of chocolate mug cake to whip up a sweet, moist, chocolatey creation in a matter of minutes without ever needing to start the oven or break out a ton of ingredients. Free of artificial flavors and made of simple ingredients. Get it from Walmart for $5.48. 18. A pretty cake knife and server for cutting your cake and serving it, too. After all, you made it this far because you're tryna make cakes, you really should have a nice knife and server duo accompanying you. Made with silver-plated handles and stainless steel blades and is durable enough to use year after year. Get them from Walmart for $9.97. 19. A cake caddy that'll make transporting the creation that you're kind enough to share others super easy and mess-free. The reversible base can carry either a 10-inch round cake or 13 standard cupcakes. The base locks to the top of caddy for secure transportation. Before first user and after each subsequent use, wash with warm, soapy water. Get it from Walmart or Jet for $9.98. 18 Products For Anyone Whose Cooking Level Is "Microwave"